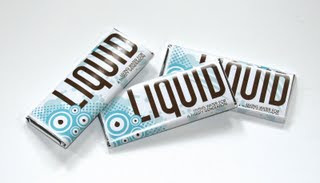 Weighty Matters: The PEI Healthy Eating Alliance endorses chocolate milk. The PEI Healthy Eating Alliance endorses chocolate milk. A number of people yesterday forwarded me an article from the CBC detailing a call to equalize the price of chocolate milk and regular milk in PEI schools. "I would love to see the chocolate milk subsidized"
and this was in reference to the price differential between his cafeteria's sale of 500mL of white milk for $0.75 versus 500mL of chocolate milk at $2.00. "From what we understand, the nutritional value is the same in chocolate and white milk. So if we want them to drink milk, they're drinking the chocolate milk but they're paying more for it." "The HEA would be supportive of having chocolate milk subsidized"
Pardon me, what? The HEA of PEI wants chocolate milk subsidized? That 500mL box of chocolate milk that Doug wants subsidized contains 10 added teaspoons of sugar, 400mg of sodium, and the caloric equivalent of a litre of Coca-Cola, and the Healthy Eating Alliance wants to subsidize its sale to promote its consumption? Honestly, I didn't believe it. I thought perhaps Charmaine was voicing her own opinion rather than the HEA, and it's not because Charmaine works for Big Milk either. Unlike some of the other characters who've come out in strong support of chocolate milk Charmaine seems like an incredibly well-intentioned healthy eating advocate and not simply a corporate shill. So I called Dr. Jennifer Taylor, the volunteer president of the HEA to ask what was going on and in a very congenial discussion she affirmed that the HEA would indeed support the subsidization of the cost of chocolate milk in a bid to get children to drink more "nutrient rich" beverages. So is chocolate milk nutrient rich, and more importantly does that matter? Well certainly chocolate milk has more nutrients than Gatorade or Coca-Cola but at double the calories and double the sugar of Coke and Gatorade I certainly wouldn't be rushing out to recommend children drink it. If you're not sure where your opinion lies ask yourself this question, if there existed Coca-Cola with twice the sugar and calories of regular Coke and it was fortified to share the identical nutrient profile of chocolate milk, do you think it'd be a healthy beverage to serve your children? "in an ideal world they'd only be drinking 1% or skim white milk"
My stance is certainly more black and white. Chocolate milk is a liquid chocolate bar. It's a sometimes food, and when the HEA reports that they'd support chocolate milk's subsidy it elevates it from what at best could be described as a "less bad" option to a "healthy eating" option which in turn may well encourage PEI's children, parents, educators and health professionals to think that somehow magic nutrients in chocolate milk offset the insane amount of sugar it packs. To put the sugar in perspective, if kids in PEI schools drank one 500mL carton of chocolate milk a day for a year they'd be drinking 76 cups of added sugar! That's just over 7 five pound bags of sugar and that doesn't include the sugar naturally found in milk. Add that in and they'd be drinking 118 cups or almost 60lbs of sugar a year. And with 200mg of sodium per 250mL they'd also be drinking a third of their daily recommended maximal sodium allowance and enough non-satiating, liquid calories to support a 37.5lb gain. The only silver lining here is that apparently PEI's milk program doesn't have the funds to subsidize the liquid sugar. Lastly I have to give kudos to Dr. Taylor. While we wholeheartedly disagreed, we had a nice, civilized chat - I wish more folks involved in nutrition were able to take the emotion out of their disagreements.